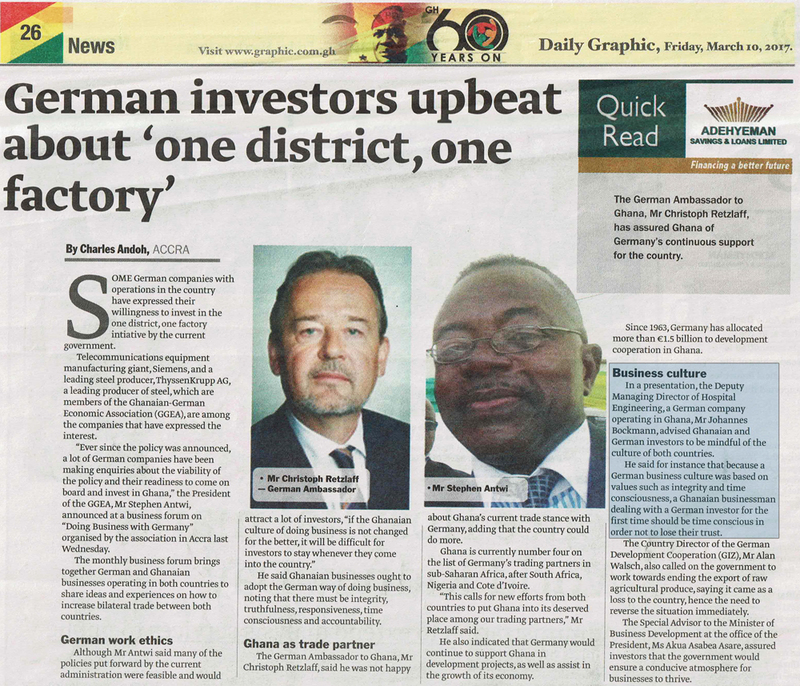 Ghana is Germany’s fourth largest trading partner in Sub-Saharan Africa. Looking at the figures, however, i.e. 266 million Euros total exports from Germany to Ghana and 270 million imports in 2015 there is obviously room for a lot more. 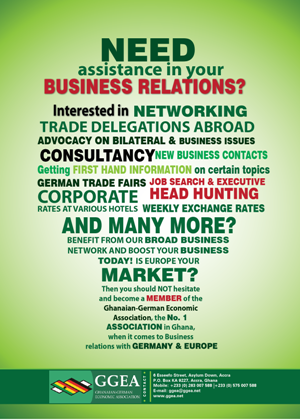 To improve business and political relations between Ghana and Germany the Ghanaian-German Economic Association organized the “Doing Business with Germany” Forum on March 9th, 2017. The Ambassador of the Federal Republic of Germany to Ghana, H.E. Christoph Retzlaff, in his keynote speech successfully addressed the unique opportunities that Germany and Ghana offer each other. The following contributions by the Ministry of Business Development and GIZ, the German Agency for International Co-operation, added more valuable information to the Forum. the long lasting involvement of Hospital Engineering in Ghana. In 2017 the company is celebrating 50 years in the country. Offices in Accra and Kumasi show their strong commitment to the local market and give proof of sustainable business relations.